The next-gen has officially begun (if you buy into Sony's rhetoric) and so far it is rather messy. 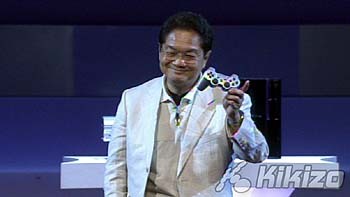 Sony boss Ken Kutaragi was up early on Saturday morning to hand over the first PlayStation 3 to a young man clad in a green jacket and a subdued smile. The man showed few effects from the hours of standing in line in the cold and the rain outside the gigantic Bic Camera in Tokyo's Akihabara prefecture. But when reporters approached him afterwards, he reportedly had little to say. This young Chinese man wasn't even going to play his new machine. All the major news channels covered the launch of Sony's new machine on Saturday, but few covered the more interesting (and disconcerting) side of many of those early transactions. With only around 80,000 PlayStation 3 served to an audience that a generation before gulped down a million PlayStation 2s in a handful of days, many of the machines sold this weekend were bound not for the living rooms of the people who bought them but rather those of wealthy ones who would later buy them in the aftermarket. The thousands of people standing in line didn't have a quiet time of it. There were reports of scuffles in the queues that snaked in front of stores, with tensions rising as dawn approached. Several consoles from this first batch of PlayStation 3s went to hired hands, reports said this weekend, who then passed them on to resellers. According to Kotaku, opportunistic resellers in Tokyo were asking around £420 for the 20 GB model and £650 for the 60 GB model, compared to the retail prices of around £220 and £270, respectively. Most stores in Tokyo and around the country are sold out today, Japanese publisher Enterbrain told Reuters. The company's estimates peg sales for the first two days at around 88,000 units. Sony had originally planned for a larger launch, but a shortage of the blue laser diode at the heart of the PlayStation 3's Blu-ray drive scuppered that idea. With eager profiteers snagging as many PlayStation 3s for resale as they could get their hands on, software sales were hurt. The were just five games available on Saturday and best selling games so far are Ridge Racer 7 and Gundam: Target In Sight. 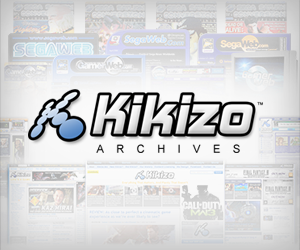 Enterbrain told Reuters both Namco games sold around 30,000 copies each. Other games that went on sale this weekend included Resistance: Fall Of Man, Genji: Days Of Blades and Sega Golf Club. The launch madness isn't over yet. While Europeans will be watching on, the US takes delivery of the PlayStation 3 on Friday, 17 November. Sony says it will have around 400,000 units for the launch, and many of those are already up for sale on auction site eBay. Expect to pay well over £500 if you're thinking of going that route.